Insufficient public funding for family planning services means poor women have to buy contraceptives from pharmacies rather than getting them free from clinics. "Social disparities and lack of access to services make the poorest of our women suffer," said Alberto Romualdez, vice-president of Forum for Family Planning, a local the NGO. Nearly half the population lives on US$2 a day or less, and spending $1 on a pack of condoms is not an option. Despite the cost, a recent study by the Guttmacher Institute, a reproductive health think-tank, and the Likhaan Center for Women's Health, found that more women - 40 percent in 2008, up from 17 percent in 2003 - were buying contraceptives. According to the 2008 National Demographic Health Survey (NDHS), women desired a family size of 2.4 children on average, but actually had an average of 3.3 children; only 41 percent of poor women used contraceptives, and had an average of one or two more children than they wanted. The lack of contraception was hampering the already dismal progress in reducing maternal mortality; the government's 2006 Family Planning Survey indicated no significant decline in maternal mortality ratio (MMR) between 1998 and 2006. In 2006 there were 162 maternal deaths per 100,000 live births, compared to 172 per 100,000 in 1998. The UN Development Programme Millennium Development Goal (MDG) for the Philippines is to reduce maternal deaths to 52.2 per 100,000 live births by 2015. "There is no way that the Philippines will meet their MDG on MMR unless this unmet need for contraception is addressed," said Sharon Camp, president of the Guttmacher Institute. Extending modern contraceptive use to all women at risk of unintended pregnancy would prevent 2,100 maternal deaths each year, the Guttmacher Institute study noted. 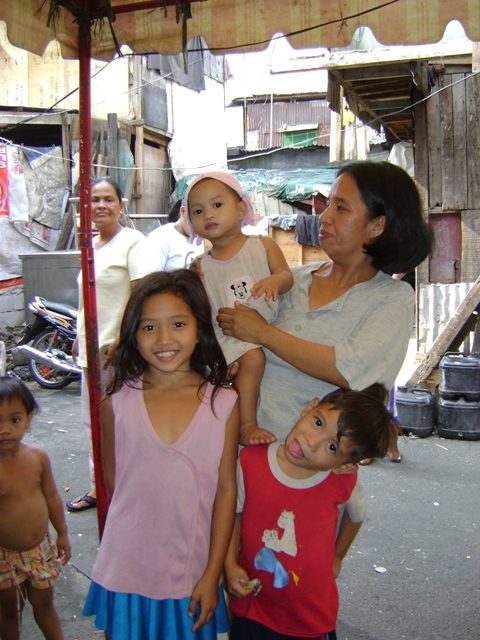 The Philippines had depended on US Agency for International Development (USAID) for free contraceptives since the 1970s, but as part of the Philippines government's self-reliance initiative from 2002 to 2008, USAID phased out donated contraceptives, including condoms, pills and intrauterine devices. However, the government has not picked up where USAID left off. "The government has been unable to cope with the cutbacks," Junice Melgar, executive director of the Likhaan Center told IRIN. Reproductive health has been a highly contentious issue in the largely devout Catholic Philippines, where Bishops routinely label modern forms of contraception, like condoms and pills, as immoral. The outgoing administration of President Gloria Macapagal-Arroyo acquiesced to the pressure of the Catholic hierarchy and supported only natural family planning methods - like the rhythm method of abstinence on certain days of a woman's menstrual cycle - which experts say has high failure rates. "Reproductive health is a public health concern," said Department of Health Secretary Esperanza Cabral. "It's time the discussion was brought to the plane of economics and social development, rather than morality." President-elect Benigno Aquino III, who will take office on 30 June 2010, promised responsible parenthood and government funding for contraceptives during his election campaign. Health advocates hope he will make good on his promise by passing the Reproductive Health (RH) Bill, which has been stalled for nearly 20 years. If passed, the bill will ensure that funds for universal access to contraceptive services and information are allocated in the national budget. Congressman Edcel Lagman, principal author of the bill, is confident it will be passed. "There are no less than 75 RH advocates who have been elected; we have the numbers on our side."